When you're looking for 60th birthday gift ideas for a special female in your life you want to be sure to select something fitting for such an important age. Turning 60 carries a bit of a stigma since people are starting to feel that they have become old, so you want to choose something youthful and invigorating to help take their minds off that fact. Flowers are appropriate 60th birthday gift ideas for a female. Much like a wedding or special anniversary, turning 60 is a landmark event in someone's life. It signifies the transition into retirement age for many, and simply into old age for others. There is no reason why this should be considered negative, however, as advanced years are a sign of wisdom and deserving of respect. When looking for 60th birthday gift ideas for a special female in your life, be she your wife, mother or grandmother; consider flowers as being a great choice. Not only do they possess a natural beauty that we all love and enjoy, but they also help rekindle memories of youth with their elegance and energy. A beautiful bouquet or basket of flowers would make a grand choice of gifts and will help bring a smile to anyone's face. Flowers also possess a natural healing power and help to cleanse the air, which is something that anyone, male or female, is sure to appreciate. If you have any questions about the ideal flowers to choose for someone, or would like some more gift ideas for a 60th birthday, feel free to contact your local florist. They'll be happy to make suggestions based on their knowledge and experience. Other female 60th birthday gift ideas. In addition to a bouquet or basket of flowers, you can choose from among any number of other arrangements at the florist's store. One good idea is to add a card with a personalized message to the bouquet or basket, which completes the present nicely. You may wish to consider complimenting the flowers with scented candles, a soap set, gourmet teas and coffee, or any other selection available at the florist's shop. A basket containing a mix of things would be the perfect gift for a 60th birthday, not only just for a female, but for anyone. For more ideas, read on. Aside from these combinations you could try for something more unique. Consider an arrangement spelling out the person's name or "60" in flowers or perhaps the creation of a wall decoration. Your choices are pretty much limitless. If you're having trouble deciding or need some suggestions for good female 60th birthday gift ideas, going down to see your florist would be a wise choice of action. They'll be able to listen to your descriptions and point out an appropriate presentation to suit your needs. For information about how to order flowers online, continue reading. Using the Internet to find female 60th birthday gift ideas. Ordering flowers has never been easier thanks to the Internet. With the ability to select a complete order, pay for it and arrange for delivery without needing to leave your home of office, the convenience is hard to ignore. As a result, florists strive to make their website as accessible as possible. 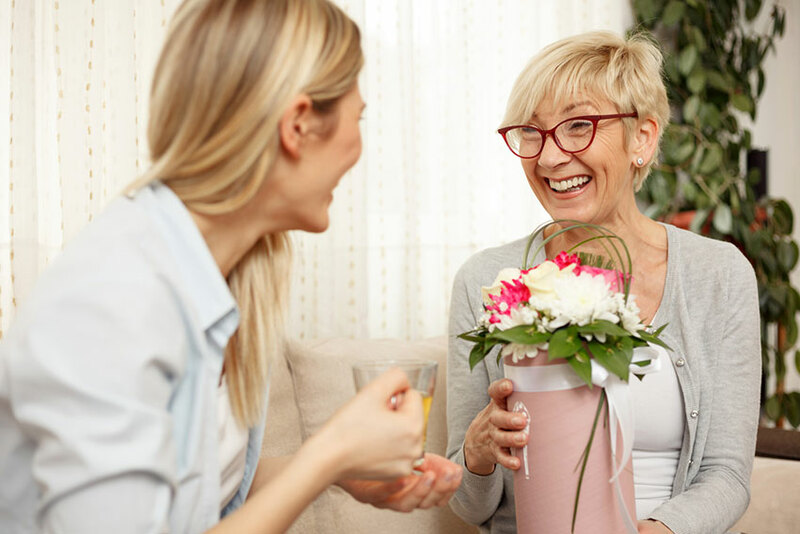 If you're unable to attend the 60th birthday of a special female in your life, you'll enjoy being able to use the florist's website to browse gift ideas and send flowers along in your stead. The process is an easy one. All you need to do is visit the florist's website, peruse their selection, pick what you'd like and then pay for it using a secure order form. If you're from out of town or ordering internationally, you can specify the address when making the purchase. Florists offer same-day delivery to anywhere in your own nation and next-day internationally thanks to a network of affiliates they'll have set up. Let them know what you'd like and they'll ensure it arrives at your family member's house fresh and beautiful to help them feel the same. For any questions about suitable female 60th birthday gift ideas, visit your florist's website today.